﻿So you’re new to HiWay, and you're thinking about Joining The Journey, but maybe you’re wondering what to expect when you attend a service. Let me take a minute to walk you through a typical gathering and explain a little bit of what we’re about at HiWay. When you step onto the campus of HiWay, we want you to feel right at home, so feel free to dress casually and comfortably. The Bible tells us that God is more concerned with our hearts than He is with how we dress or look (1 Samuel 16:7), so we encourage you to spend the morning preparing your heart, not your wardrobe (No suit and tie needed). Journey groups last about 1 hour. 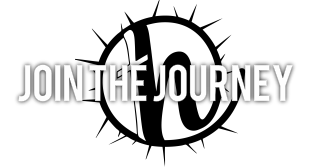 Our Journey Groups are based on stages of life: children, youth, college, singles, young marrieds, parents of youth, etc. Each Journey Group is specified for their stage of life. To find out which one fits you best, visit the Welcome Center on a Sunday to find out more information on which one to attend. Sunday services last about 1 hour and 15 minutes. During a Sunday service, we’ll spend a portion of our time together joining in song both as a way to express praise to God, as well as to prepare our hearts and minds for the passage of Scripture that we’ll be studying that day. During the message our Lead Pastor, George Barnes, will help you understand what the Scriptures say, but also help you to apply it to your everyday life. At the end of the message there is an opportunity to respond to the Pastor's message or to receive prayer and encouragement if you are in need of either. Each one of our services has a different type of music, but you will hear the same message at all three. So we encourage members to attend one service and help serve at another. As we get to know you, we would love to help you find a place to get involved.